Ok, so I don’t very often get to grumble about WordPress as it’s a fine bit of software that saves a ton of time. 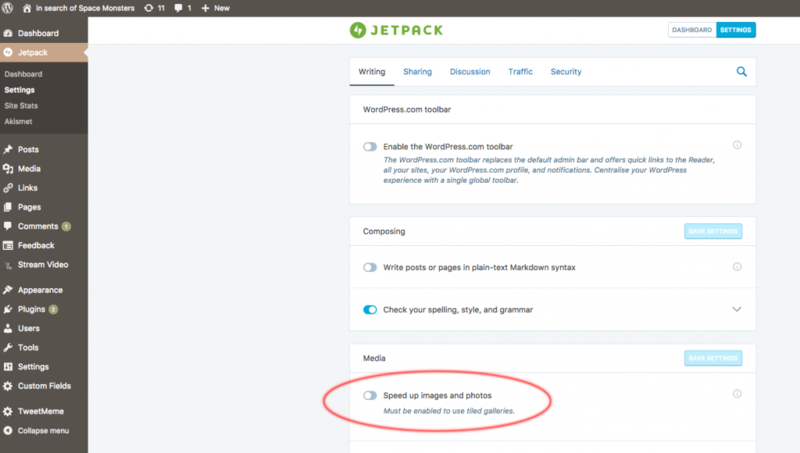 But I recently found that following an update to Jetpack images failed to display. I tried a ton of stuff and found that flicking a switch in the Jetpack settings helped. No idea why. Hope it helps some other poor sod in the same predicament. If you were a kid in the late 1970s and early 1980s you’ll no doubt remember the wonderyears of the videogame arcades. The thrills of the new technology that provided hours of fun for us young gamer geeks was mesmerising. These were the Star Wars years. Science fiction had finally become mainstream and was in the mind of every kid. To be able to visit the arcades and drop a coin to blast everything to hell was the ultimate thrill. We were all Luke Skywalker and Han Solo. But what was it about those days, the games and their magic that endures and why have we built our business around maintaining the ethos of those early, pioneering days in gaming? This isn’t nostalgia. That’s important. Nostalgia is a fine thing but for us it’s much, much more than that. Sure there’s a buzz in reliving and recreating the game thrills of our youth. There’s always an inevitable thrill in regressing as you get older. But the key thing here is that there are aspects to ‘retro’ gaming that are entirely relevant to the modern mobile gamer. Not least the ability to be able to pick up a game, have a ‘go’, succeed or fail and then put the game down in the knowledge that next time you pick it up the same challenges will be presented to you without the added blag of being repeatedly sold to. Better yet you can be sure to test yourself against your (and your friends) past achievements via such mechanics as a high score table or achievements matrix. It is indeed a decidedly retro thing. There’s a charm to it that has been somewhat eroded over generations of advancing technology. The limitations of a colour palette and small screen resolution forced some ingenious design decisions and pushed the artist in particular, into creating some wonderful effects. Retro for us is Defender but it’s also Out Run or even Doom. Retro for you may be more relatively recent titles such as Grand Theft Auto 3. It matters not. The point is that there was a charm in the ingenuity of designing within limitations be they graphical or processor. Mobile devices are phenomenally powerful in terms of their graphical capability and raw horsepower, but they come with their own challenges for designers in terms of their physical size and limited control options. This, for us, is hugely attractive as designers and artists. 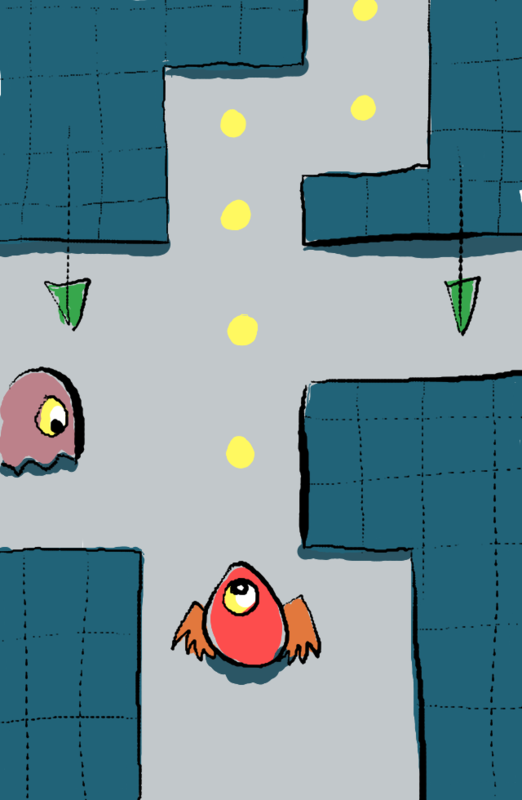 We want to try and map aspects of the classic arcade game experience onto modern mobile gaming. The modern game scene is driven by the desire to sell once and sell again actually within the game experience. We don’t much like this trend. Not necessarily because it wasn’t prevalent in the ‘golden days’ (you can be sure that if it was possible back then it would have been done) but because it’s a distraction from the thrill of the game. Monetising your games is important from a business sense but ramming it down your audience’s throat is ugly and unattractive. If there’s one thing that annoys us as gamers it’s sitting down to enjoy a game only to be presented with a full screen advert and a tiny (X) to close and progress. For us it then becomes less about you the gamer and more about ‘we’ the business trying to earn a buck. If there’s another thing that annoys us it’s not being able to get into a game without the tiresome ‘this is how you play the game’. You’ve seen it before, you click PLAY and then you have 5 minutes of a greyed screen with highlighted pointers for how you actually play the damned thing. Then, if all of that isn’t bad enough, you’re playing your game in the company of a 1/5th screen height persistent advert. It’s ugly, intrusive and not at all what we want as gamers. As gamers we want to play. Pure and simple. We have our game and we want to play it and use our own intelligence and intuition to get us through. Identifying these things was key to establishing our plan, or promise, if you like. So our ethos, our promise to the gamer, is that you will pay once for the game (£0.99, for example) and then play without any interference as many times as you like. In the first two weeks of release we’ll likely offer the game free of charge. Following that initial free period we’ll charge a small fee for the game. We’re not Sega or Namco so won’t be asking for the usual £10.99 to recoup the enormous associated costs of development and marketing. True arcade games should not be so complicated as to require lengthy tutorial stages. Many mobile games are of course fairly complex and warrant a tutorial of some kind. But even then it’s not as though you’re paying to play each time and have somebody breathing down your neck waiting for you to finish. Just wade in and figure it out! I personally often think that tutorials in games are a waste of dev effort and more a product of the heavy-handed marketing department who’ve seen such things in the competition. 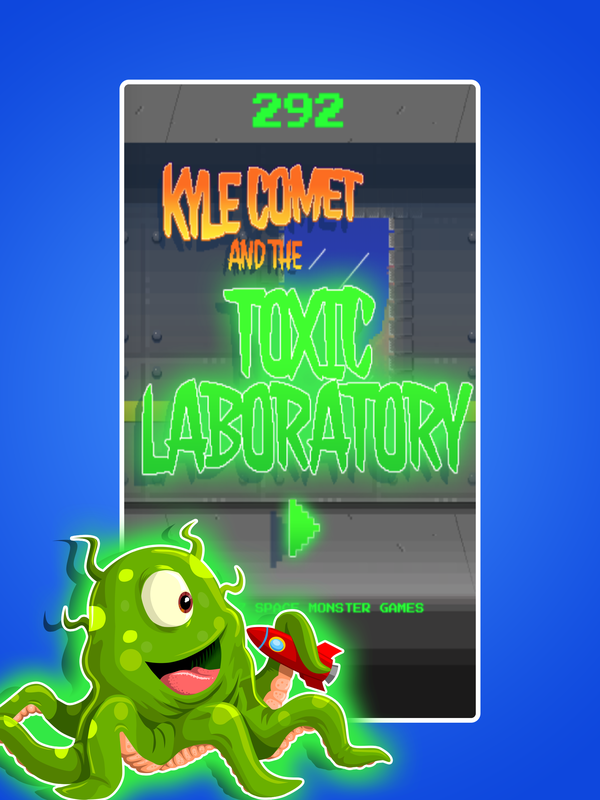 In many respects the iOS App Store is like a videogame arcade. You’re generally looking for a game to spend your gamer budget on (take a chance on). If the game is free to download there’s no risk, you’re not taking much of a chance! Screenshots and ratings go a long way to attracting you. Ratings is not too dissimilar to word of mouth. If there was enough positive buzz about a game you’d hear it either amongst your friends or in passing whilst you wander the arcade. If there’s plenty of people stood around the cabinet you can be sure there’s something attractive on offer. Similarly, if a game has merit you’d read about it on social media, gaming websites or hear about it amongst your gamer peers. Sifting through the negative feedback and filtering out the ‘it crashes on my phone’ comments should leave you with enough information to persuade your purchase. Marketing your games is vital and something for a future post. But for now let’s assume you can generate a healthy enough audience for your game on the app stores. Attract mode translates into the preview video. Gamers are keen to see the game in motion before they commit. Both the iOS and Google stores offer a video preview. This is our opportunity to attract gamers based on the actual game. Flashy, over produced videos that show little or nothing of the game fail here in an instant. Rule 1: show the game in action! Show the promise to the gamer. We tend toward shoot em ups. It’s just our thing. We loved them all from Space Invaders and Defender through to Raiden, Outzone and Ikaruga. But we’re by no means limited to that genre. The key for us is in the visual style that we can achieve. The graphical potential of a game is a huge draw for us. If we can see a sizeable challenge in the code and art the project will often gain enough momentum to move into development. The best projects are built on top of a number of key challenges. From the developer’s perspective it may boil down to the tools that need to be created to build game specific levels. 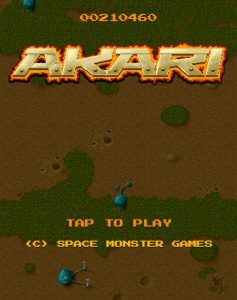 Our current project, Akari, started out as a scrolling shooter that quickly evolved into something that required staging and good level design. Our in-house level editor Neo was adapted to construct such challenges. The artists and developers work closely to translate design goals into game features. The time between developments is fun. 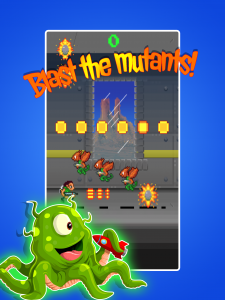 We enjoy pulling together game concepts, graphical ideas and any other ideas for making a cool mobile game experience. But we never lose sight of our ‘promise’ – that our games will be all about instant accessibility and fast-paced thrills. We also want to provide a consistent and level playing field. This is why we reject in-app purchases. Mechanics like that immediately offer an uneven playing field. 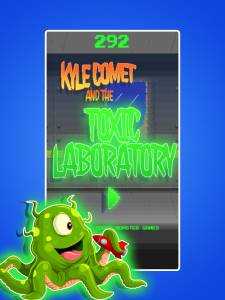 Embracing social media is almost essential in succeeding in modern mobile gaming. Testing yourself against your friends and then sharing those achievements on Facebook, Twitter et al is an increasingly important aspect to the game experience. We’re keen to explore this without intrusion and are looking to integrate Apple’s Game Center and Google’s Play Games in all future games, for example. It was always a thrill back in the day to visit the arcade and stand in front of your favourite game to see if your score was still top of the tree. Heaven forbid you should be displaced. Nothing would motivate you more than to see somebody else’s 3 character moniker sitting proud above you. It was actually pretty frustrating to see an unfamiliar moniker sitting immediately above you. We’re convinced that challenges between friends is the way forward. We all want to brag our achievements to those buddies we know we can communicate with. Modern mobile gaming is hugely enjoyable. The games are staggeringly attractive and full of style. Despite game companies insisting that mobile games are much more than ‘casual’ we feel that actually this is exactly what they are. To that end, for us, the best games offer instant action and a great challenge with the ability to replay to your heart’s content without ever being pulled away from the game experience. The golden years of arcade gaming perfected the art of offering such experiences which makes classic arcade gaming entirely relevant to the modern mobile gamer. Friday is a cool day. We put Sublime Text to one side and break out the pen and paper to craft some concepts. 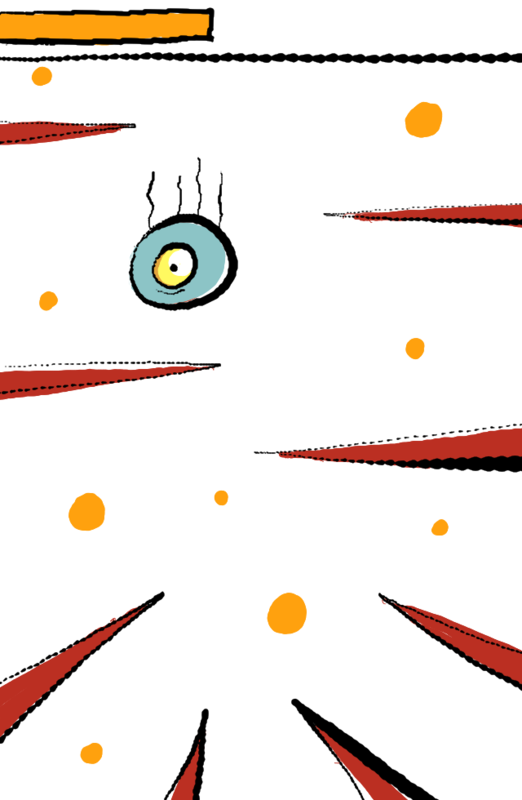 Underwater Blob Thing – in search of food our plucky bubble fish type thing must avoid spikes and other sharp things. 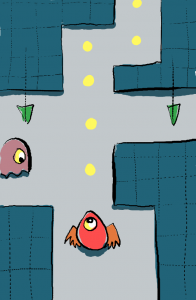 Affectionately referred to as PacMaze – the flappy blob thing must swing left and right to avoid the maze walls and collect power pills whilst avoiding spitting ghost things. Something that we hurl around a fair bit is JSON. 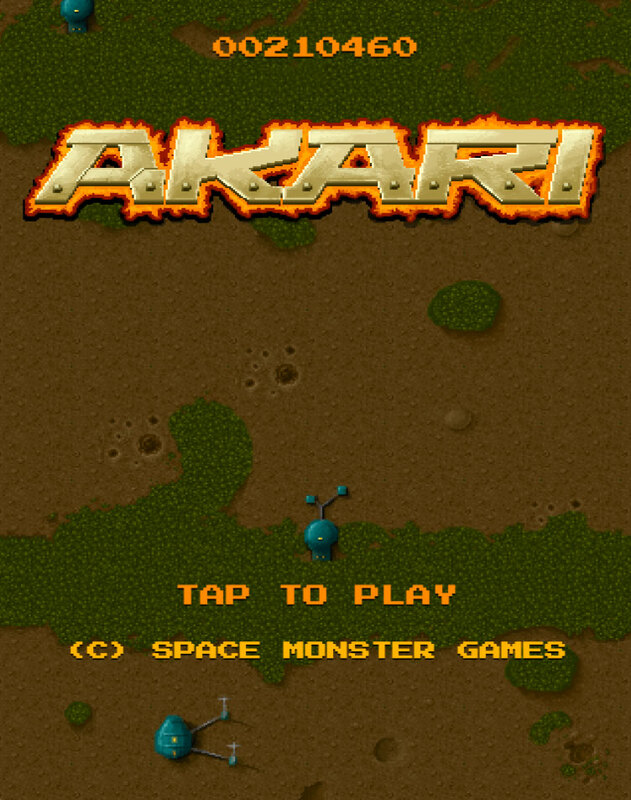 Currently the focus is on building an interface for designing levels for our forthcoming shoot ’em up; Akari: Battle Star. What we’re after is precision. That is, we want to place entities within the game to be triggered at specific times during the game’s progress. We call this tool Neo. The Neo data is stored in a database table that is pretty straight forward in its design. Within the editor we select the game and level to work on and an AJAX request pulls the data from the database. The result of which is a PHP array. Manipulating the JSON within the Neo front end is straight forward and we use jQuery for much of this. Once we’re happy with the data we then fire off another AJAX call to post the data to the back end. This is were we ran into problems. In short we were struggling to decode the JSON into a PHP array. There’s much more to the data than that but essentially this is the format. The trigger value is the stage of the game (in ticks) at which point the entity data is triggered. When we attempt to decode this JSON string and form the PHP array it’s successful. But when we add another object to the string, it fails. We couldn’t for the life of us figure out why this wouldn’t work. So we employed PHP’s json_last_error() method which captures the last attempt at decoding JSON. Neo development is now moving forward at pace and we’re having a huge amount of fun designing the levels and graphics. In our last game, Thundergun, we adopted a purely randomised approach to generating the levels. That is, the alien formations were predefined prior to the game loading but their formations for completely random. For our next game, Akari: Battlestar (working title), we’re looking to plan the action with far more precision. Our inspiration for this game is from the early 1990’s and games like Raiden. Raiden was a tough game. Very tough. 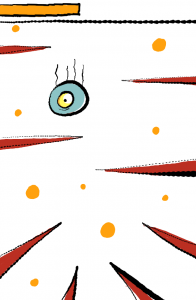 Our game will hopefully be a little more forgiving in the style of what were once referred to as manic shooters. Do Don Pachi epitomised this style in which you pitched your fighter against hordes of formation-based adversaries who sprayed bombs (with some elegance) around the screen. Under normal circumstances avoiding the bombs would be nigh on impossible. But this genre used much tighter collision detection; often using just a single pixel in the centre of the player’s ship for collision reference. We’ve already adopted a similar approach. But it’s the fighter formations we’re keen to establish up front by way of an in-house level design system. The placement of aliens, cannons, collectables, mini bosses, tanks; you name it, will be handled by this system. Each entity will have all attributes defined and the resulting output stored in a JSON format to be read by the game. 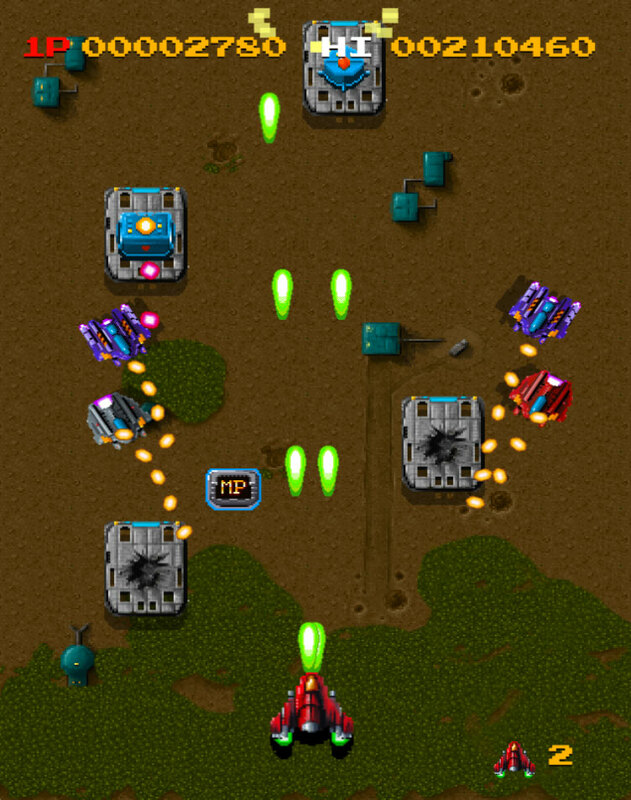 The attack formations for Thundergun were based largely on Capcom’s 1943. Fighters swooped in, curled around and then flew off. If you took the entire formation down you were presented with a bonus item. For Akari we want to have a lot more variation. Fighters will adopt one of several attack formations. g.progress bumps with every tick of the game’s main loop. This is consistent and in tune with everything else that the game loop handles (movement, animation, collision etc) so it’s a good base for defining the introduction of alien formations. As g.progress counts its way through to several thousands for each level it passes what we refer to as waypoints. As each waypoint is triggered a new randomly but predefined alien formation is spawned. The difference with Akari is that there will be no randomisation. Everything will be delivered from a level data file. At set intervals in Thundergun the action was interspersed with a mini boss; a larger fighter that drifted into view and bullied the player. Formations continued to spawn around it. For Akari we’ll suppress the formations and halt the bumping of g.progress while the mini boss action plays out. With the mechanics for the mini boss developed we have pretty much 90% of the code written to handle a proper end-of-level boss. The main difference will be in defining the scale of the boss and any sub-elements such as wing-mounted cannons. Level structuring isn’t a new thing for us. 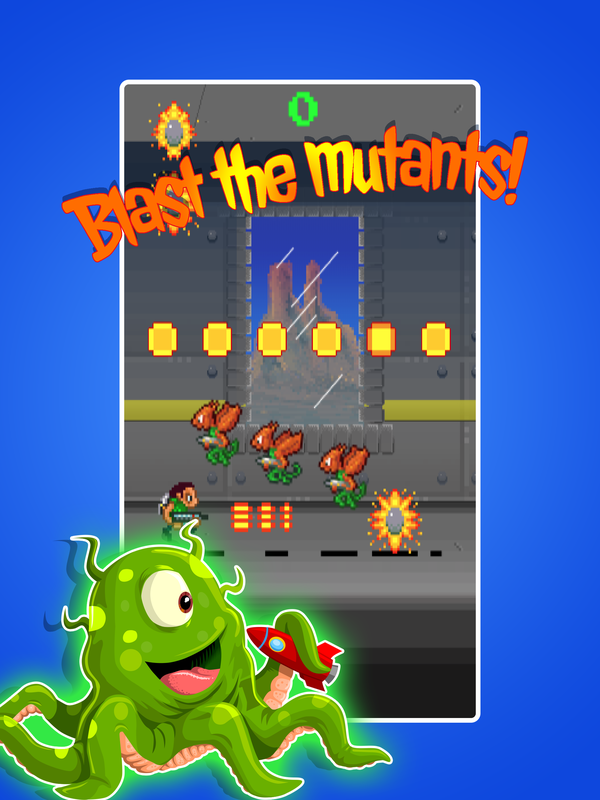 We’ve employed it for our platform games and the C64 style shooter Crossfire. Hopefully we can get a demo up and running in the near future. Exciting times in arcade game development!